Peep this! Peeps! They are everywhere! Peep this, I turned my leftover coffee into a sweet caffeine treat!!!! MOMS- How many times a day do you microwave the same cup of coffee before dumping it or throwing it in the fridge for later?? I do this all the time. I did not feel like making this an iced coffee and I was too lazy to make a fresh pot. Side Story – My daughter had been asking for marshmallows for a few days. 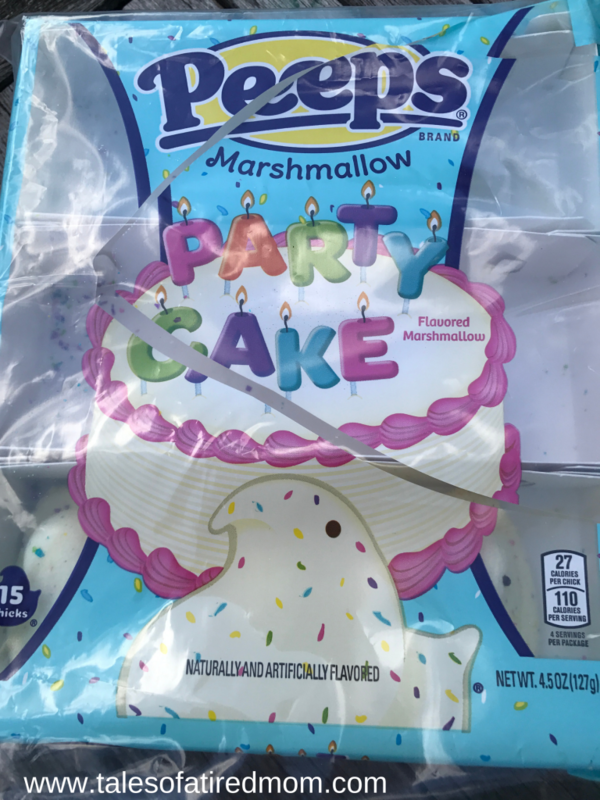 When I took her to the store, she picked out these Party Cake Peeps. (a girl after my own heart) Turns out, she doesn’t actually eat them. Just plays with them. Not her brother though… He loves them!!! 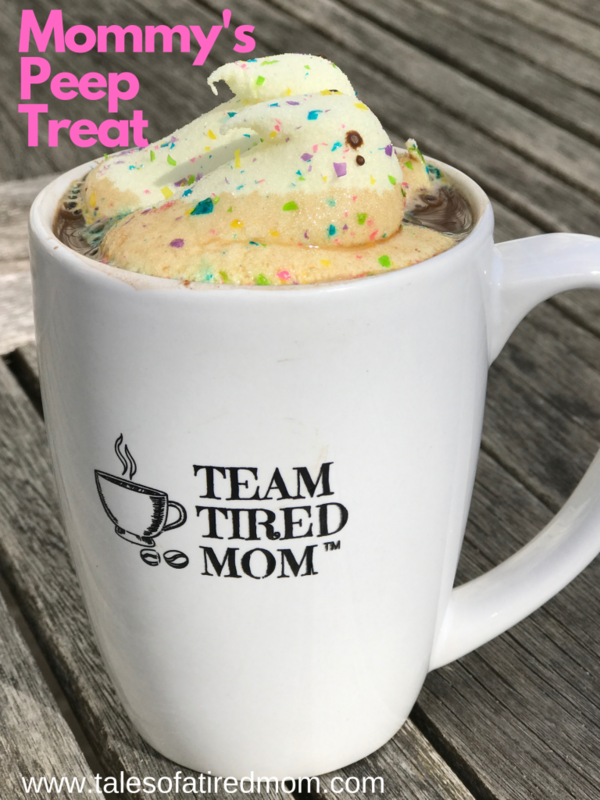 Anyway, when you need a sweet treat and a caffeine coffee boost, which I always do… try this fun and easy recipe!